This month seems to have whizzed by and looking back we can certainly see why. On June 3rd and 4th June Loseley hosted “Vet Fest” a two day seminar for veterinary surgeons run by Noel Fitzpatrick and his “Humanimal Trust”. A finale to this was the “One Live Music Festival” – a spectacular evening with over 4000 attending, fortunately the weather held on the night with Loseley House lit up making a stunning backdrop for the concert. The live music and atmosphere were both fantastic along with an unexpected guest appearance from Mark Owen from Take That which was very exciting for his many fans amongst the audience!! 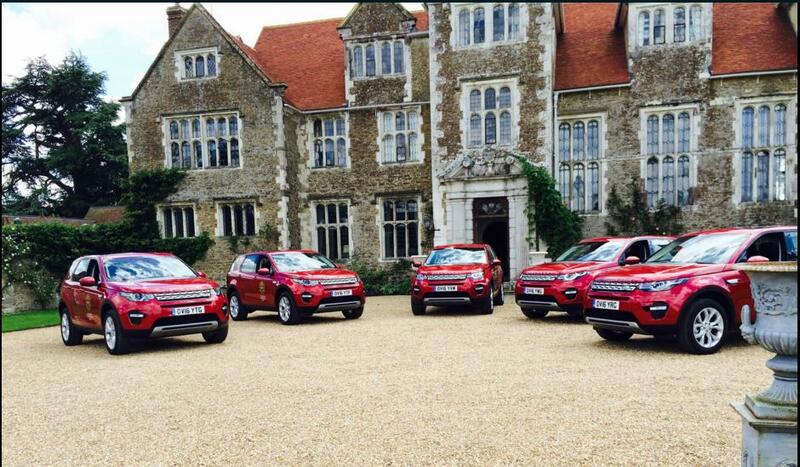 Later in the month, Loseley then welcomed another celebrity with a visit by Alan Titchmarsh. The Event was organised by Plant Heritage who’s Headquarters is here at Loseley and over 60 guests enjoyed lunch in our Tithe Barn with a Talk from Alan Titchmarsh followed by tours of the House & Gardens. The rain didn’t dampen spirits and Alan certainly charmed his audience. The Rose garden bursts into life in June with over 1000 rose bushes coming into full bloom. The scent and vibrant colours of pink, crimson and red roses are magnificent. Burney, our Head Gardener and his team are challenged to keep them looking their best by dead-heading and raking up the fallen petals. The ‘Friends of Loseley’ Summer Drinks took place in the evening on 14th June and, despite the heavy rain throughout that day forcing a last minute switch to serving drinks inside the Great Hall of the House, there were over 90 ‘Friends’ who attended. Fortunately the rain subsided enabling people to venture out for a wander in the Gardens to enjoy all their beauty including a magnificent rainbow! This month has been particularly busy for our Groups visitors with very enjoyable visits from a group of Chinese floristry students who enjoyed a flower arranging master-class from Robbie Honey following an inspirational visit into the Gardens. The Friends of The Royal Academy of Arts returned to Loseley once again plus Dutch, Austrian and Belgian gardening groups and school groups from Lanesborough School and Churcher’s College. In early July we look forward to welcoming the Weybridge Catenian Association who will be holding a short Mass in the Loseley Chapel before their Lunch and Tours. Corporate events have been very busy and diverse this month with Herbert Smith, a London based Law firm hiring Loseley Park once again on 8th June for another very successful Surrey Centurion cycling event. The Surrey Historic Military Vehicle Rally took place on the 26th June which saw over 50 military vehicles on display with 1000 visitors coming to enjoy a day out. 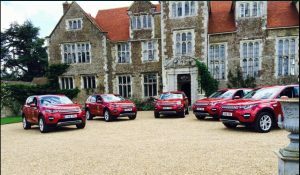 We have also welcomed Jaguar Land Rover here for the Prince’s Countryside Fund Day who were running “Stars of the Future” for up and coming farmers aged 18-25 who win a Discovery Sport for a year. In addition Esprit Holidays based locally in Godalming have just hosted their annual company party once again at Loseley Park with over 200 employees attending. From feedback received it is evident that a great evening was had by all. Looking ahead to July, Loseley is hosting a Decorative Home & Salvage Show on Friday 15th to Sunday 17th July with the Show Preview on the Friday. This is the third year Loseley have hosted this very popular Event and it is definitely one to put your diary and come along to. We also look forward to the annual Garden Show at Loseley which takes place from 22nd to 24th July on Front Park opposite Loseley House. Plant sales, garden furniture, local produce, arts & crafts are just a handful of delights on offer and Loseley House and Walled Gardens will also be open.